H&M makes a T-shirt with a sequinned message that changes depending on the nap. It says "Skate", and with a swipe of one's hand, it says "Chill". 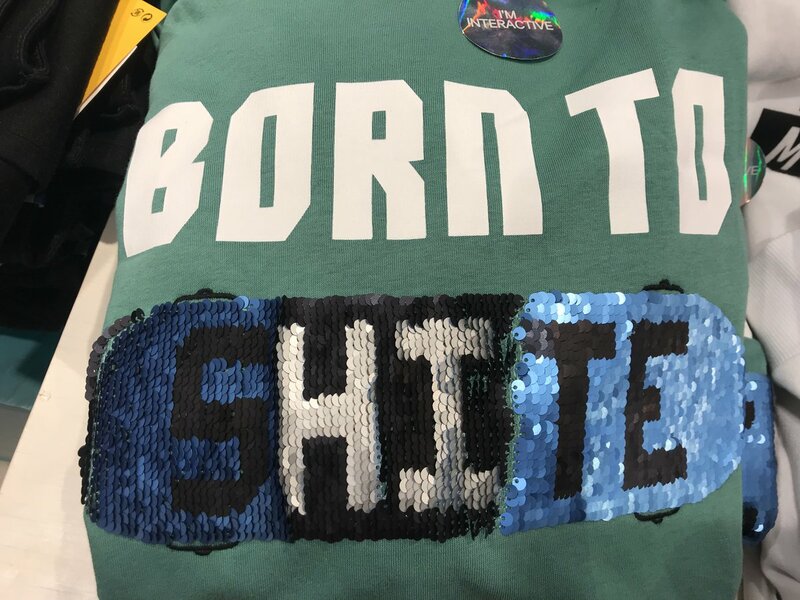 Catriona Black, however, noticed that you can, of course, choose to swipe only some of the sequins, thereby creating the ultimate Scottish t-shirt.